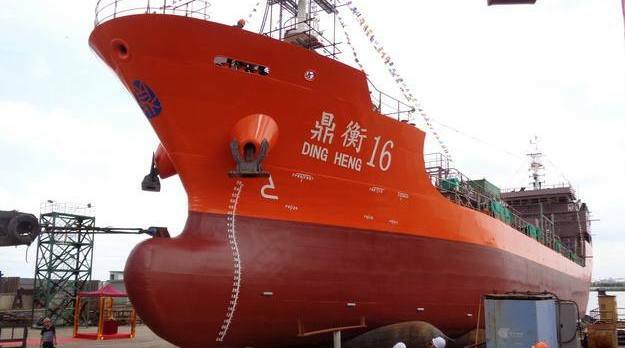 Chinese tanker owner Shanghai Dingheng Shipping has commissioned Ningbo Ship Exchange Market to sell 2006-built chemical tanker Ding Heng 7 via an online auction on November 23. The starting auction price for the 2,092 cu m vessel is RMB9m ($1.36m). Shanghai Dingheng Shipping commenced a significant fleet expansion in October, having ordered 16 chemical tankers at Ningbo Xinle Shipbuilding including six under a 10-year bareboat charter arrangement, and it is also in negotiations with the shipyard for an additional order of ten 6,000 dwt tankers. Dingheng Shipping currently operates a fleet of over 20 small chemical tankers and it is also set to take delivery of six chemical tankers before the end of this year.